News and tips on high quality car services. Tips for buying and installing new tires. Anyone who has a car, knows that buying four new tires can set you back hundreds of dollars — sometimes hundreds more than you need to pay. Secret shoppers at checkbook.org did some extensive comparison shopping – and discovered a trend that could save you a bundle. “There’s no excuse for paying too much for tires.”, said Checkbook’s Executive Editor Kevin Brasler. Checkbook’s undercover shoppers got price quotes from nearly 50 tire sellers. Some quotes were from different locations of the same chains or tire franchises.They found huge differences for the same tires. One example: Four Goodyear Assurance FuelMax tires for a 2014 Honda Accord. The lowest price quote was $549. The highest quite as $914. That’s a difference of $365. “It’ll come as no surprise to your viewers that the lowest priced places for tires we found were Costco, Walmart and Discount Tire- the biggest chains.” said Brasler. But Checkbook’s survey also found great tire prices at independent auto repair shops. Another discovery: Many auto repair shops will install new tires that were purchased at a great price, from a different seller online. 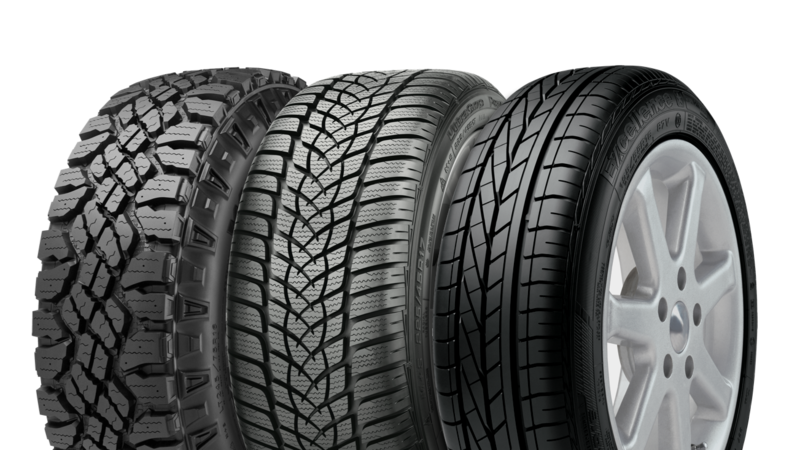 Some shops are even part of a service offered by tire manufacturers where you buy tires online and have them delivered to selected shops that participate in the tire-installation program. You might want to simply ask a reputable, reliable repair shop you trust if it will install new tires on your vehicle if if you bring them in or have them delivered. Brasler says most repair shops that agree to install tires you buy elsewhere, tend to charge between $80 and $120 to mount and balance- comparable to what you’d pay at a traditional tire store. Just make sure you order the right size tires for your vehicle, because it’s your problem if the tires don’t fit. Also, before you buy tires online, check the customer reviews and be sure to read the terms and conditions- especially about returns and warranties. And regardless of where you buy new tires, keep in mind that maintaining the correct balance, good alignment and proper pressure are key factors in how long your tires will last. The complete Checkbook report on Tire Shops will be accessible on this website until Feb. 20, 2018.